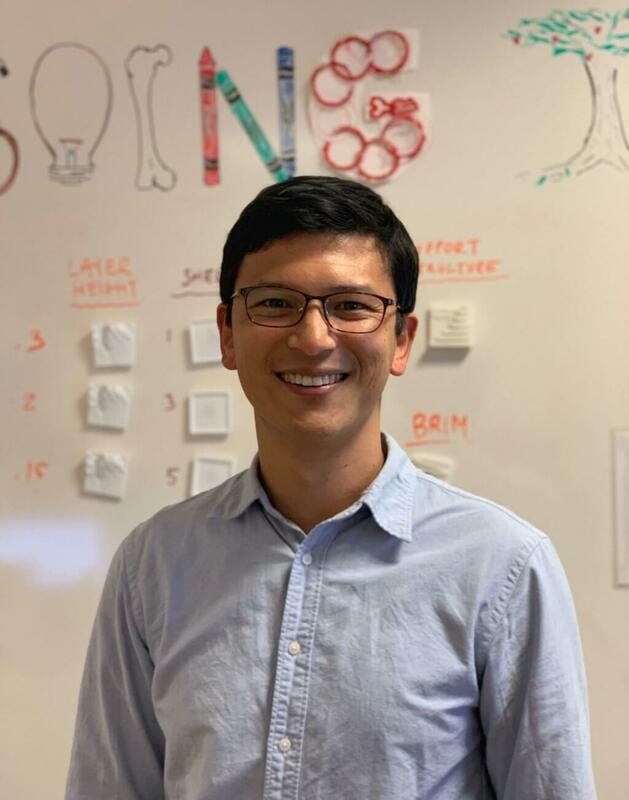 This week’s maker is 4th year student in the UCSF School of Dentistry, Manabu Manandhar. We caught up with Manabu after the winter break to learn more about one of his recent projects. Q: What did you make? A: A mold to create “edible water” – a water pop contained within a biodegradable, edible skin. Q: Why did you want to make it? A: Last summer, my friend was in France and wanted to kiss his girlfriend in the morning. So he texted me “Let’s make ‘edible water’ that you can just pop in your mouth” to make it fresh. Q: What was your process? A: From molecular gastronomy, we used the process of spherification. Calcium alginate is what floats on the surface of a body of water. If you can make the algae into a sphere, it can contain a liquid like water, and is totally edible and biodegradable. 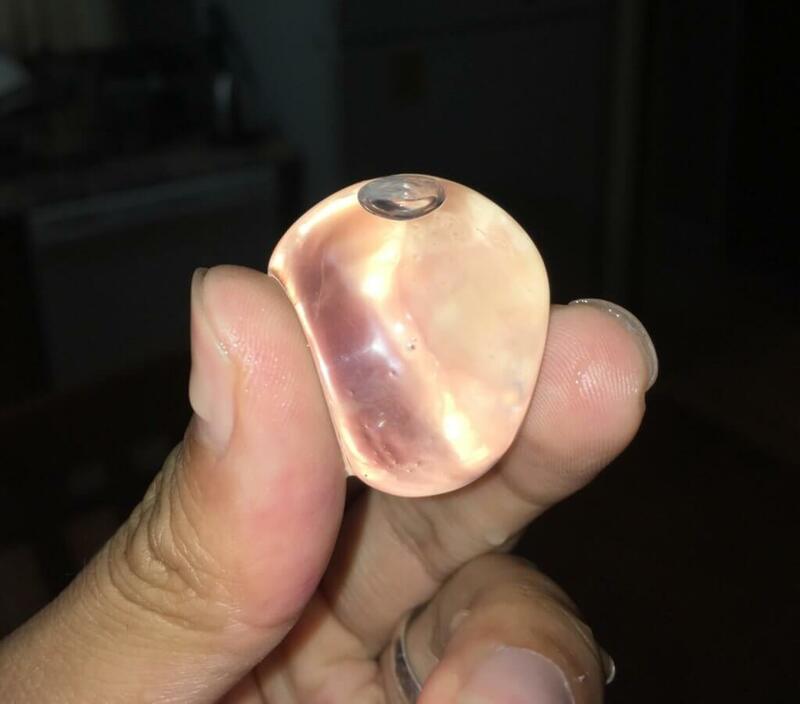 We bought an ice cube maker from Amazon, and were able to make some pops, but they took hours to process, the size of the pops was too large to comfortably fit in your mouth, and we had only about a 1-in-10 success rate. Also, the spheres wouldn’t really hold their shape, and algae would form outside the sphere, making them unappealing. To get what we needed, we had to invent a closed system so we decided to 3D print our own mold. 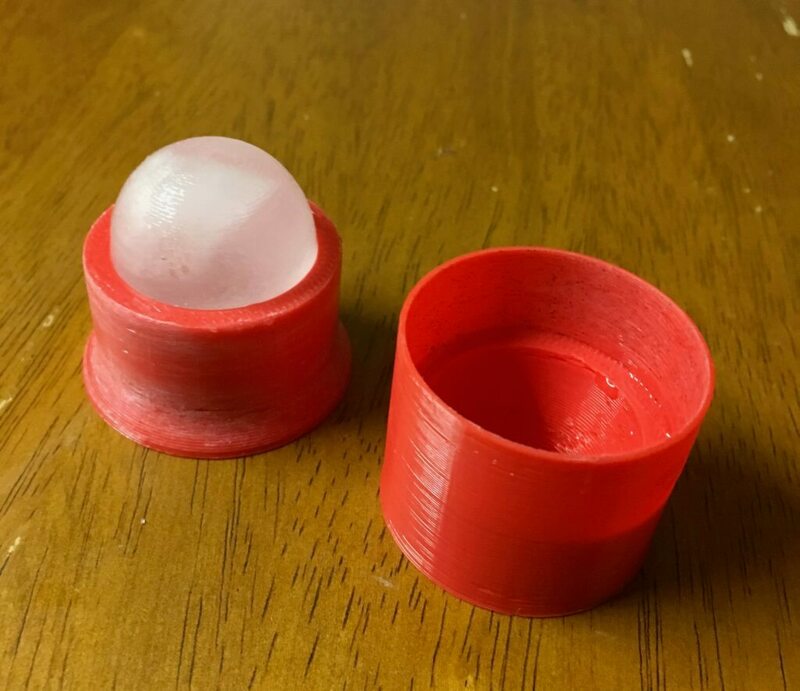 We looked on Thingiverse and found a model for an oval ice cube maker that would allow us to create a closed system where most of the chemical reaction happens. Then we needed to smooth out the model, re-size it, and make some other adjustments to get it just right. A: Making the perfect sphere because there are many physical and chemical variables that need to be controlled to achieve it. A: When you open the mold and you see the water is the perfect shape. That was the most satisfying part. Q: How did this help make you a better student? A: Problem solving – Can we make this or not? It was very much like a research project – you encounter a problem and try to solve it. You make a product and then you need to perfect it or no one is going to buy it. The edible water pop needs to look attractive and feel good in your mouth. In school you learn what is given to you, but you don’t have to trouble shoot. It makes you a better student when you’re not just learning the stated facts. Q: What do you want to make next? A: We’re working on mass production of the water pop, and also trying to make a mouthwash pop. Edible mouthwash is a challenge because the chemical makeup is different. But, hey, we’re dental students and think how helpful that could be!